Sometimes I'll start writing. Other times I'll work on illustrating. Very rarely do I finish writing an entire children's book in one sitting, but I have. God receives all the praise for that! Who wants a copy of this latest children's book I, Franicia, made? All we ask is for an honest Amazon review. Successful Kickstarter for I Know You Love Me, Mommy and Daddy! After revising our video's script and lowering our goal amount, we feel as if we are almost ready to launch another Kickstarter campaign. Our first Kickstarter campaign gave us a good idea of the type of support we should aim to raise. We also have more printing options for the children's book I Know You Love Me Mommy and Daddy which will be a benefit if we are able to raise a small amount or more. Debbie has so graciously allowed us to release a print of one of her paintings! If we reach $5,000, one of our $100 (and above) donors will be randomly selected to receive one of Debbie's paintings on an 8X10 photo paper. One of the great things is that you get to choose which painting from the book you'd like to put up on your walls! My dear friend Michelle Duggar sent me the following endorsement last week after I had sent her the digital copy of my book. 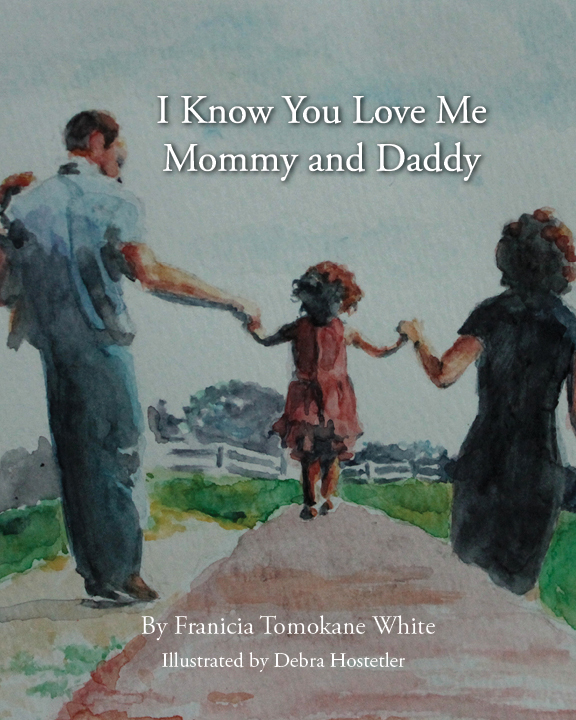 I Know You Love Me Mommy & Daddy is a delightful children's book that reinforces God's unconditional love that parents are to share with their children. We plan to print this endorsement on the back cover of the book! We have a Kickstarter campaign going on right now to print this Christian children's book in hardcover. There are a lot of incentives with each reward tier! Please help us spread the word of this campaign as it is over on October 15 and is an all or nothing event. Thank you! If you told me months ago that our project would be chosen to be featured as one of Kickstarter's Staff Picks, I don't know if I would have believed you. Spread the spirit of love and gratefulness through this endearing Christian children's book that families will enjoy for generations! How sensitive are you to unmet needs? If you never think about unmet needs, you're probably missing out on opportunities to add to the portfolio of services your business provides. The Lord has been so merciful to us --- guiding us and encouraging us along the way! He blessed our launch and completion of the Kindle book The Blessings of Visiting Grandma and Grandpa on Amazon. We were blessed with generous newspaper coverage back on the beautiful island of Saipan as well as a live radio interview that came out of nowhere. I'll Praise My Maker While I've Breath - Isaac Watts (Creation2Christ CD Making) from Tim White on Vimeo. The Lord brought the Myers family into our lives in an amazing way. Though we had no filming or audio recording experience we offered to help them share their beautiful Christ-honoring work. Since then, we’ve helped them film a Creation Camp Days DVD, a character-based cd, as well as a cd of Isaac Watts hymns that leads from Jesus birth to His death.